Hurricanes are violent storms. They have strong winds and may contain rain. The eye of the hurricane is the calmest part of the hurricane,because it only has light wind and light precipitation. A hurricane can damage buildings, trees and cars. A category 5 is the worst hurricane. Hurricanes are categorized by the wind scale. Meteorologist use a scale called the Saff-Simpson Wind Scale. It measures the wind speed of the hurricanes. Hurricanes are also named after boys and girl names. They change alphabetical order. The labels for the hurricanes alternate from boys and girl names. Hurricanes can form anywhere in the world. They can form in Africa, Asia and even where you live. However hurricanes usually form over warm ocean water. The water is usually 80 degrees . The hurricanes get their from the ocean water.The hurricanes loses its strength when it has no water near it. 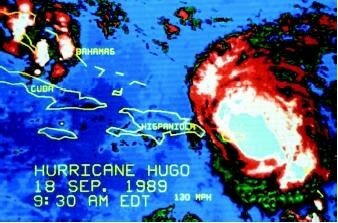 Hurricane Hugo was a historic hurricane. It sustained a wind speed of 65 mph. It had different categories. 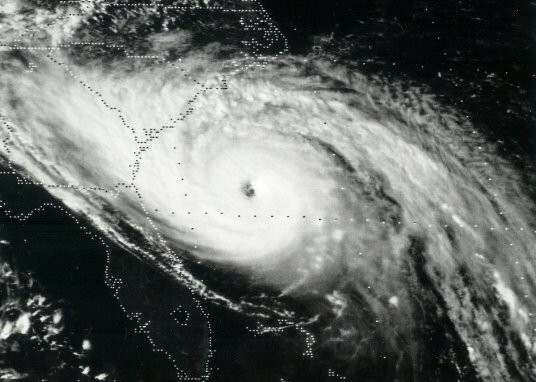 It was a category 4 hurricane when it made land fall. It formed off the coast of Africa. It made land fall in Charleston,South Carolina in North Carolina. I hope this research paper will be used in the future. I hope people that have hurricanes in the area that they live will be helpful. This pictures shows the eye of the hurricane. It also shows the top of the hurricane and what is going on at the top. 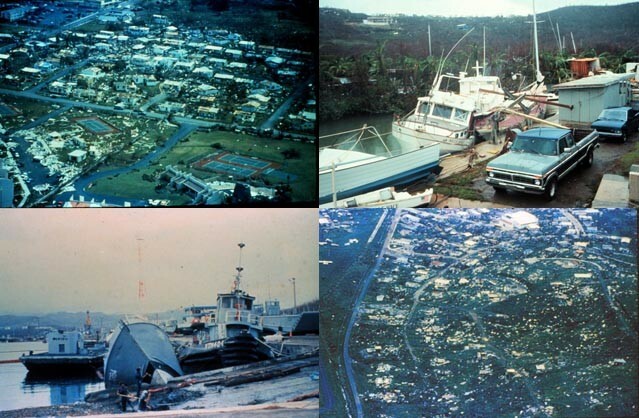 This pictures shows the damage that hurricane hugo did to peoples houses and boats. It smashed them. 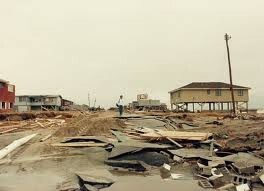 This picture shows the damage that the hurricane did to buildings and cars. It washed them away. This a picture of the hurricane being tracked. The hurricane is red in the picture. They were tracking the hurricane at 9:30 A.M.